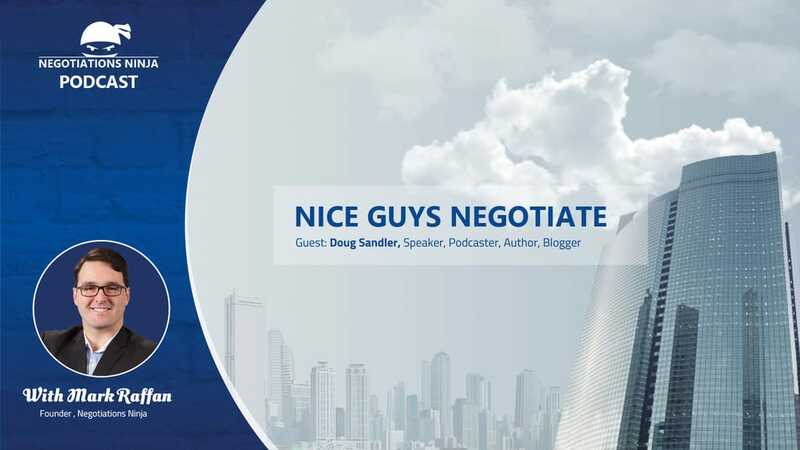 Folks, Doug Sandler may be the nicest guy that I’ve ever had on this show, but I guess that kind of makes sense because he is the author of Nice Guys Finish First, and the host of the Nice Guy’s on Business podcast. Being the son of the famous Dave Sandler of Sandler Selling Systems, Doug is no stranger to sales and sales systems, but has developed something completely different in his Invest, Inspire, and Execute system. Doug and I talk about sales, we talk about negotiations, and we talk about what it takes to be a nice guy in business and a nice guy in negotiations. Having Doug on the show was a real pleasure.